At MJP, I try to make every seniors experience fun & memorable. Every session is a customized experienced, ensuring I capture the true personality of each senior. To inquire about the MJP Senior Model Program please click the Contact Us button below! How do I choose a location for my senior portraits? Together we will talk about the look and feel that you want for your portraits. I make suggestions based on each individual seniors vision. Sometimes we even do a mix of locations. Even though I offer suggestions, I am always up for an adventure, so feel free to make suggestions of your own! Most seniors will bring 2-3 outfits. I personally suggest 2 for smaller sessions and 3-4 for longer sessions. When is the best time of day for my senior portraits? I almost always start sessions 1.5 - 2 hours before sunset. Unless your an early riser, then we can discuss a morning session. I’ve seen some photos on pinterest or online - Can we try something like that? I am always up for trying new things! Send over your inspiration photos, and we can try to take it and make it unique to you. Yes! Every year I look for a few seniors to represent my business. In exchange they receive discounted sessions, and rewards. If you are interested in this program fill out a contact form here and put “senior model program, high school, and graduation year” in the “tell me about yourself section.” I choose senior models the Spring prior to your senior year. How long before I can see my images? Typical senior session take about 3 weeks, for me to edit and send you your gallery link. During busy season it could take 4-6 weeks max, but I will let you know an exact timeframe the day of your session. I had my Photo Shoot and It was Awesome! I want to tell everyone. What’s the best way to do that? I am so glad you loved your photos! This is why I do what I do! Most of my business comes from Social Media and Word of Mouth. So share your beautiful photos on social media, and tell all your friends and family! When should I have my senior portraits taken? 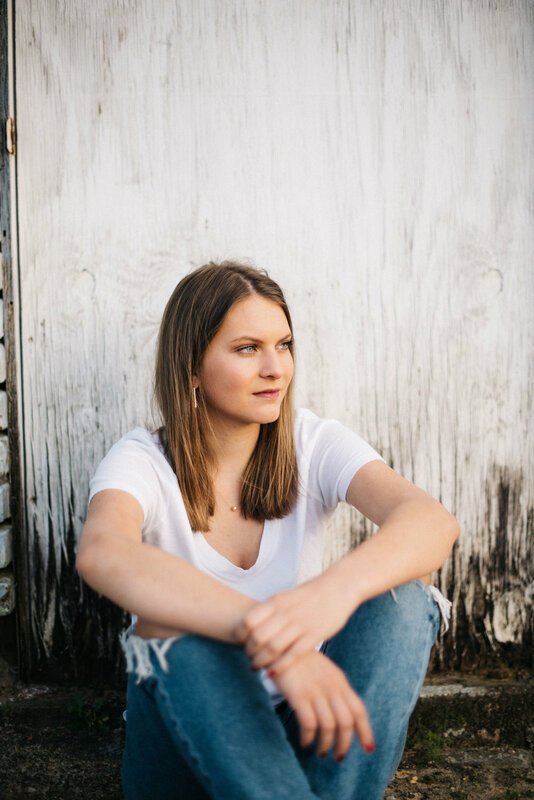 Most seniors choose to take their Senior Portraits sometime between September and March, but now days it is not uncommon to book multiple smaller sessions throughout the year to give a variety of seasons. What if it rains the day of my session? I watch the weather closely for every session. If the chances are more than 50% then we will likely either change the time or reschedule the date, but I will contact you in the event that happens. That depends on which Collection you choose, but I offer select 30 minute sessions, and 1, 1.5 and 2 hour sessions. Sure! Parents or friends are welcome. I would try to keep the amount of people you bring down due to distractions, and try not to bring someone who is critical about appearance, or makes you feel uncomfortable. These sessions are fun and should be enjoyable. You may want to warn them though, that it is a possibility they may be holding a reflector or acting goofy to get you to laugh :). Depending on your collection, you will either receive your images on a USB drive or through digital downloads in your gallery. For your convenience, every session receives a complimentary online gallery for viewing your photos. This gallery also allows you to order professional prints directly from my preferred lab, and shipped straight to your door. The gallery link and login may be shared with friends and family so that they may order as well. I would suggest bringing clothing options, some comfortable shoes for walking in, a hair brush, powder, lip gloss, jewelry, etc. Ok, I decided I want you to take my senior portraits, now what? Awesome! I can’t wait!!! To schedule your senior session, you just need to fill out a contact form here. You can also email me at hello@mjollyphotography.com or text me at (601) 270-6698.